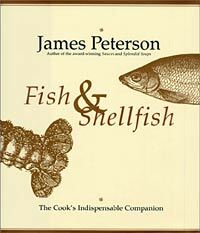 James Peterson’s books are hailed as the most comprehensive and dependable of cooking guides, and Fish & Shellfish is no exception. This book is the first and last word on fish and shellfish from an expert teacher and and seamless writer, it is the one cookbook you will come to depend on every time you want to serve seafood. Fish & Shellfish has it all—tables, timing charts, advice about equipment, safety preparations, a glossary of foreign ingredients, and a Finfish dictionary covering all you need to know about more than sixty species of saltwater and freshwater fish. Peterson guides cooks through all the essentials of seafood preparation. 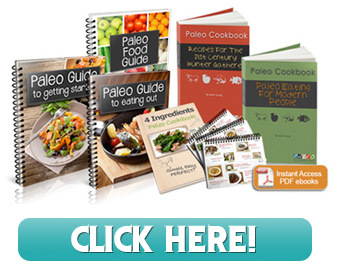 As in all of his books, Peterson goes beyond providing just recipes, rather he examines the how’s and why’s of each dish and includes the logic behind the cooking techniques, allowing the home cook some room for improvisation and individuality. There is an endless selection of dishes in Fish & Shellfish, with a broad representation of French, Mediterranean, and Asian cuisine. The organization of the material is flawless, the section for Finfish is organized by technique (baking, braising, deep-frying…), Shellfish are presented by type (Mussels, Clams, Oysters…) and the section on Seafood in Other Guises includes a variety of dishes with fish as the main ingredient (Salads, Soups, Stews, Pasta…). Some standouts in the vast selection of recipes include lemony-flavored Steamed Mussels with Thai Green Curry; Thai Style Swordfish Satay; a simple and comforting Linguine with Clam Sauce; elegant Hot Oysters with Leeks and White Wine Sauce; rich and savory Braised Scallops with Tomatoes and Fresh Basil; Steamed Lobster with Coconut Milk and Thai Spices; Shrimp with Tomato Sauce, Saffron Aioli, and Pesto; and Japanese Style Grilled Squid. Fish & Shellfish is a comprehensive and complete reference for professionals, yet is certainly accessible and approachable for home cooks of any level. The only book you will ever need on the subject—you will wonder how you ever cooked fish without it.